For small business owners, a little understood dynamic of marketing is the concept of Customer Life Time Value (CLTV). 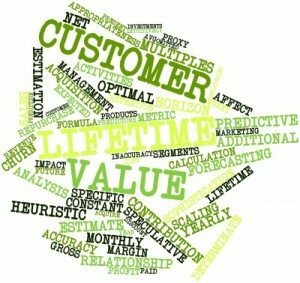 For my money (literally), Customer Lifetime Value is THE way a business measures the value and opportunity related to their repeat business. So, we’ve put this post together to help walk you through the basics and we’ve even provided a handy Excel Spreadsheet you can use as a template to calculate Customer Lifetime Value for your Internet Marketing efforts. In short, it helps business owners and marketers decide how much money they’re willing to spend in order to acquire a new customer. So while many (most) FIRST TIME sales won’t result in a profit, they will ultimately yield a greater profit to the business in the longterm. Classic example — Remember those free AOL disks and CDs that used to come in the mail every few days? Each one giving you a 30-day free trial to America Online? (I know, I know….I’m old). Well, with the postage, the cost of the CDs, the support marketing and the cost to fulfill that service, it cost the company about $35, on average, to get a new customer. 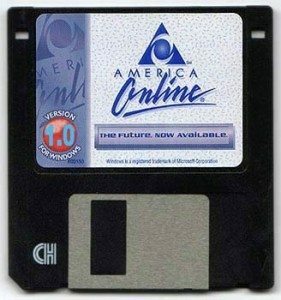 But didn’t AOL only charge about $14.95 a month to be a member? How did that make sense? Because when you consider that the average subscriber lifecycle was about 25 months, AOL ended up making about $350 per new customer. While not every customer stayed with the company the full 25 months, when looking at the total campaign and the average contribution overall, the numbers made sense…and they made billions. Say what you will about the fall of AOL — the strategic blunders, management misteps, & overvaluation in the stock market — their marketing team knew how to grow their business. If you KNEW that $35 invested today would equal $350 in profit in two years — you’d jump at the chance to sink as much money into that investment as possible. For our purposes here, I’m going to forego the use of Net Present Value Tables or Discount Rates. Hey, when interest rates are above 2%, we can revisit that conversation right? Cost of Acquisition – This is the total dollars it will cost you to get a new customer. Let’s say that you currently use Google Adwords to promote your business and your average cost-per-click (CPC) is $2.00. Let’s also assume that your Conversion Rate is 5% so that means it takes 20 clicks to get a sale (20 clicks X 5% = 1 purchase). Your Cost of Acquisition = $40. ($2.00 X 20 clicks). Lifetime Revenue of Customer – This is the average revenue you receive from a customer over the course of their relationship with you. If your average customer spends $30 every 6 months and stays with you for 5 years, their Lifetime Revenue = $300 ($30 X 2 times a year X 5 years). Lifetime Fulfillment Cost – This is the cost of it takes to support that customer…anything directly attributable to that customer that takes away from your profit. It includes Cost of Goods Sold (COGS), shipping costs, payment processing fees, marketing messages to urge them to buy again, etc. For the example above, say your COGS percentage is 20%, your shipping costs are $3.95, and your credit card processing fees are 3.5% — your Lifetime Fulfillment Cost = $110. (($6 COGS+ $1.95 CC Fees + $3.95 Shipping & Handling) X 10 Purchases). All told that means your Customer Lifetime Value = $150. ($300 Revenue – $40 Acquisition – $110 Fulfillment Cost). Incidentally, that means your ROI = 136% ($150 CLTV / Total Investment). 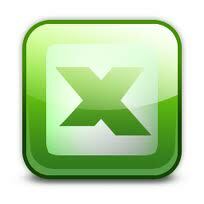 Using the attached Excel spreadsheet, you can calculate the Customer Lifetime Value for your business. Download Our Customer Lifetime Value Calculator. 1. Site Visits & Conversion Rate: Enter the number of visits your site gets per day and the average Conversion Rate for a given month. For our purposes, assume that Conversion Rate means you’ve actually made a sale. In the provided spreadsheet, the tan fields are the fields you should enter your data into. All other fields are calculated automatically and need not be touched. 2. Enter Your Renewal Percentages: We provided 12 slots for repeat sales, but you may choose to increase or decrease this once you get a feel for how the spreadsheet works. Use these fields to document (estimate) your renewal / re-purchase rates for the pool of customers. In this example, we start with 75 customers, 60% of those customers buy again giving us 45 repeat orders. Out of those 45 customers, 60% make a third purchase and we get 27 more orders….and on and on. 3. Average Revenue & Fulfillment Costs: Enter the variables for how much revenue you get and now much it costs you to fulfill each order. 4. Review Customer Lifetime Value & Target Spending: Here you can see what your CLTV and ROI Percentages would be under the given scenario. Note, there’s an entry field for Acceptable Marketing Spending Per Month. I’ve defaulted this to use the calculated Gross Margin from ‘Sale 1’ — in the case $2,229. My goal is usually to break even on that first sale. However, I’ve also worked with models that sacrifice a portion of the second sale (Sale 2). By gauging the calculated Gross Margins for Sale 1 & Sale 2, you can play with how much you’re willing to risk as an upfront investment. I also use Acceptable Marketing Spending Per Month to calculate how much I’d be willing to spend to get a new order and how much I’d be willing to spend per click. This is VERY handy when planning out your monthly internet marketing budget and PPC spending. Note this can be a combination of both Organic & PPC activities as each click still has a quantifiable cost. Well, that’s pretty much it in a nutshell. I know math is not everybody’s idea of fun. But it is a necessary evil if you want to ensure that you’re effectively planning and monitoring your Internet marketing efforts. 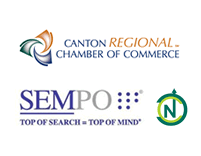 If you have questions, need help, or want to review a specific scenario for your organization. Please let me know and I’ll be happy to discuss your specific situation.